When We say Secure Distributed, We mean it! Think You don't Have IoTs? Think Again! 5G is Coming – Where’s IoT Security? The average IoT platform operates from dozens of locations and relies on four or more third parties to function. The success of platforms like Nest, Ring and Samsung, among others, have expanded this to millions of locations and many dozens of third parties, all of whom are needed for the application to function. This leads to question: who among the third parties is responsible for security? The answer is all of them. A weakness, an exposure, a flaw in one translates to unmitigated risk in all. This emerging challenge that is rapidly consuming the entire technology industry has evolved into an IoT Frankenstein monster. Acreto addresses the IoT security crisis driven by IoT platforms that are distributed, resource challenged and consist of many diverse and unlike technologies. IoTs are not coming — they have arrived. Imagination-driven IoTs will reach a staggering 50 billion devices in the next three years. From medical sensors, connected cars and smart buildings to global supply chains, IoTs will power 6% of the world economy. And yet security remains the greatest challenge facing the IoT industry. Today’s enterprise security technologies are built around gateway and on-device security models. These are ill suited to protect distributed IoT platforms that are dependent on remote applications. This is a whole new operating model — Dependency Compute. IoTs have transformed how companies create, operate and sell. However, even as you read this, hackers are actively exploiting these vulnerable devices simply because today’s security tools are just not viable. Enterprise security tools were designed to secure networks that you control. Conversely, IoTs are distributed and depend on remote applications. The IoT owner, its network, the application and its infrastructure could all be third-parties to one-another. Acreto is purpose-built to offload IoT security burdens to the Acreto cloud. This is Security-as-a-Utility that avoids the ineffective piecemeal approach used with enterprise security. Acreto is simple, agile and effective security that works transparently with existing or new IoT platforms. 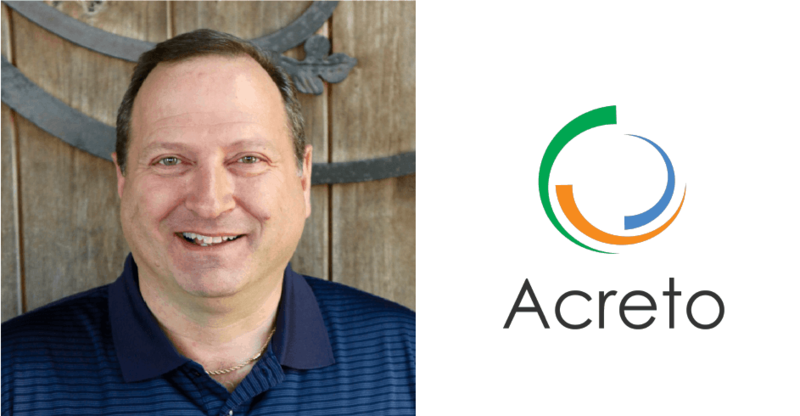 Acreto is built by the most experienced team in cloud security, responsible for creating two Garter Categories; Cloud Access Security Broker (CASB) and Firewall-as-a-Service. The culmination of their experience is now applied to addressing the most challenging security issue faced today: securing distributed IoTs. We are an experienced team of Cyber-Security and Crypto experts led by a management team with five successful build & exits. We’ll deliver the when and how.